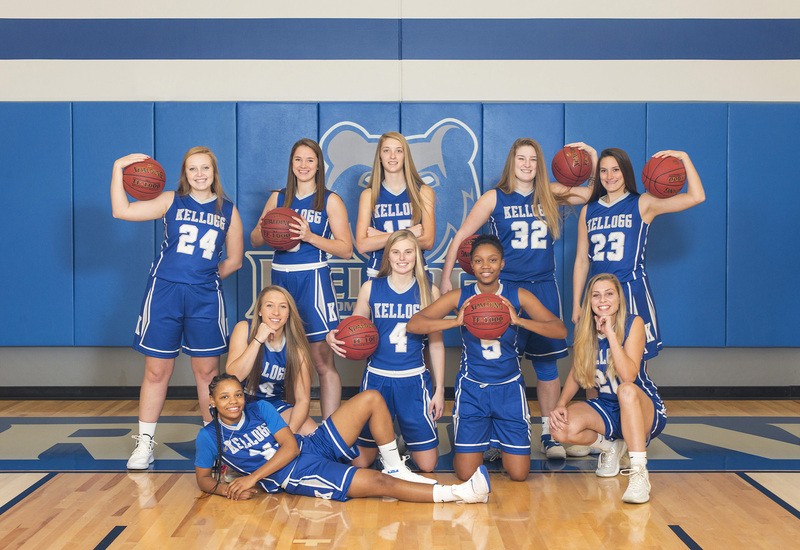 Kellogg Community College women’s basketball team broke in the new Miller Gym with a win Friday, defeating Milwaukee Area Technical College 79-54. It was the team’s first home game of the season, and also the first home basketball game ever played in the new facility, which opened this summer. Leading the Bruins on the court were sophomore DeeDee Post, who had 16 points, 7 rebounds and 3 assists; sophomore Jessalynn Genier, who had 14 points, 11 rebounds and 4 blocks; freshman Kameron Haley, who had 13 points and 4 rebounds; sophomore Destiny Kincaide, who had 8 points; and freshman Brianna Abercrombie, who had 7 points, 5 rebounds, 2 assists and 3 steals. The team plays next at 7 p.m. tonight, Wednesday, Nov. 14, against Oakland Community College in Auburn Hills. The Bruins’ next home game starts at 5:30 p.m. Tuesday, Nov. 20, against Owens Community College in the Miller Gym.